Yunsoo and Won are two of the sweetest people on the planet! Whenever they’re together, it’s obvious how much they adore each other. 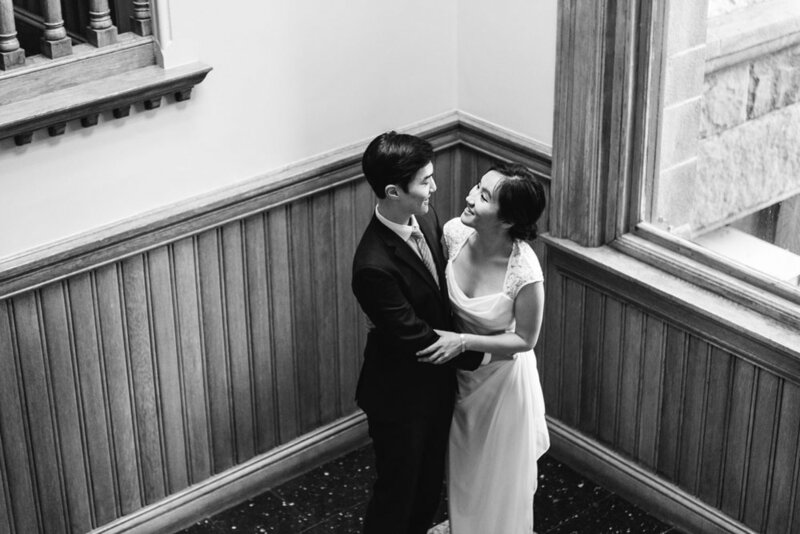 Each couple is a little different in terms of how much direction they need when having photos taken, and these two needed almost none because they were naturally so focused on each other and enjoying the moment! Such a dream couple! This week is actually their anniversary, so CONGRATS on year one of marriage, you two! 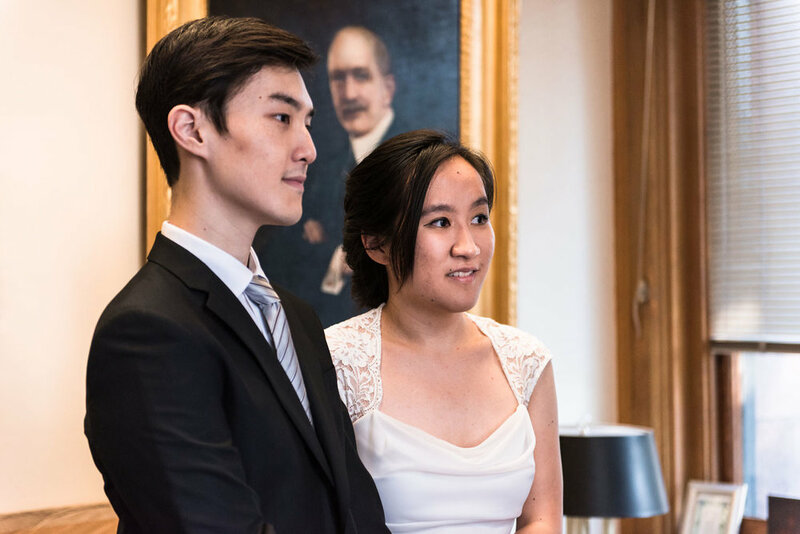 Their wedding was at Cambridge City Hall on October 5th, and fun fact, they are good friends with Phoebe + Jeffrey, who you might remember from this post! 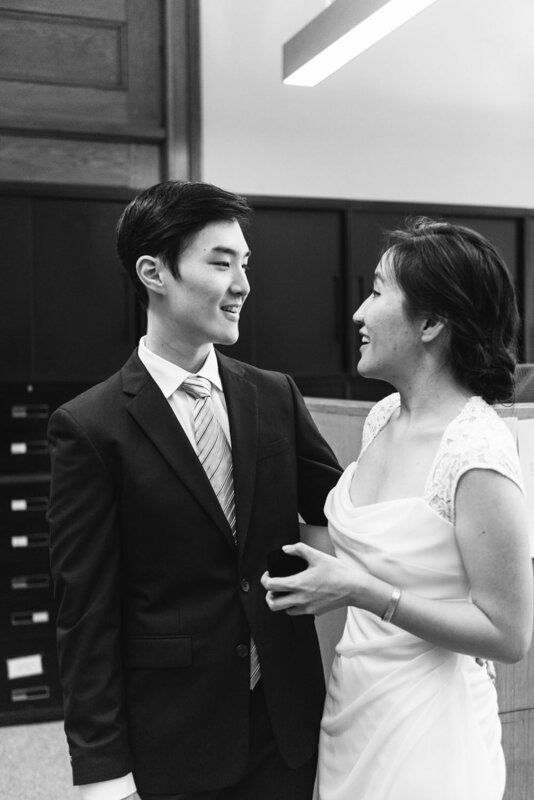 It’s always fun reuniting with couples I’ve photographed before at their friend’s weddings! 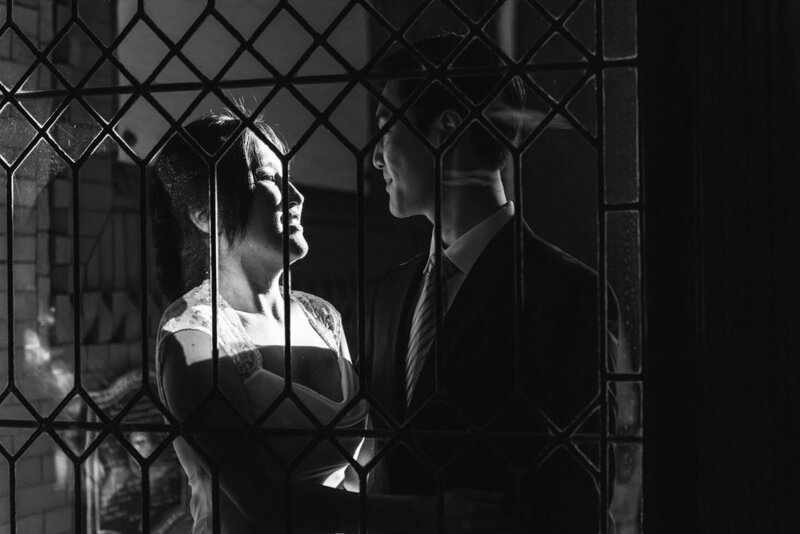 Yunsoo and Won’s wedding was a beautifully simple and incredibly heartfelt one. 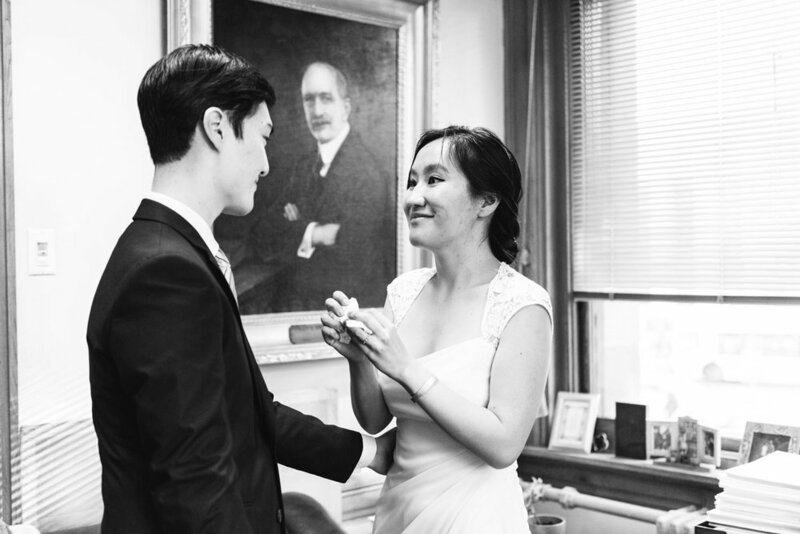 There was nothing to distract them from each other—Once the door to their private room closed and their ceremony started, it was just the two of them, the City Clerk, and me! While I do love the excitement of weddings with lots of guests, I love more intimate affairs just as much (if not more)! Having a quiet few minutes to commit the rest of your life to the one you love is always so special. 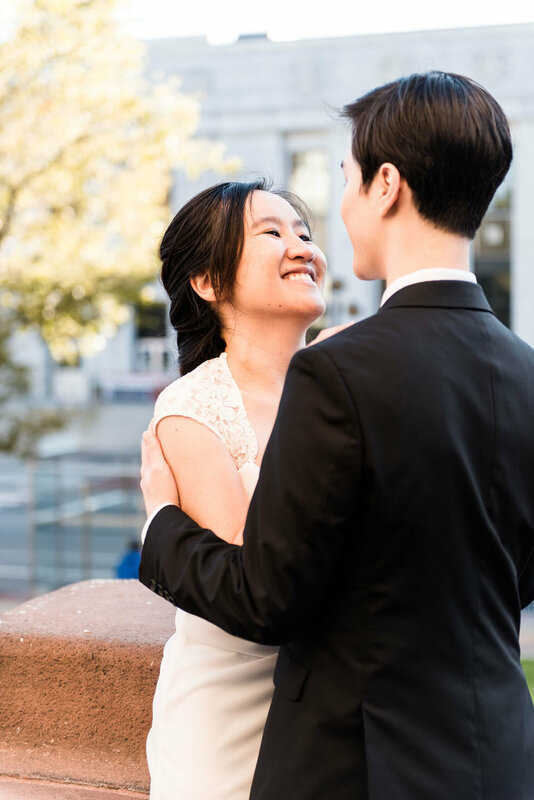 I think for many couples, it allows them the physical and mental space to soak up the moment, and process the emotions and thoughts that come with stepping into a new phase of life. 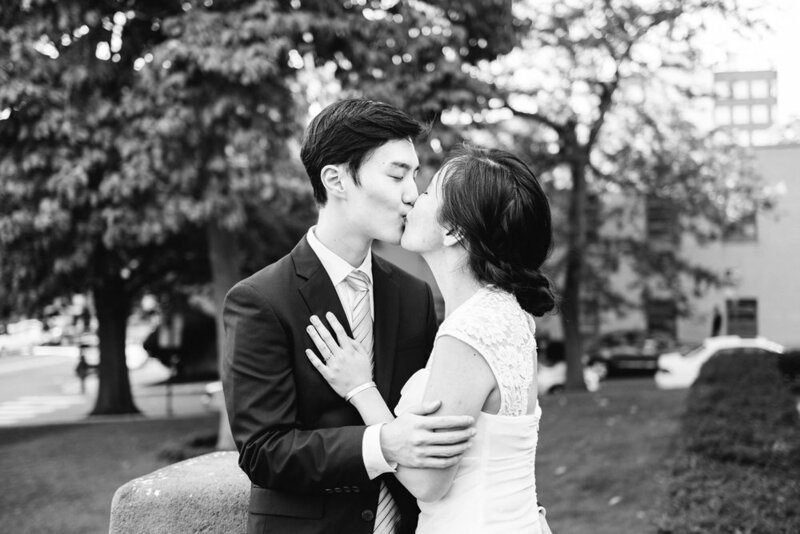 In short…City Hall weddings are super sweet and I love them (especially this one)! 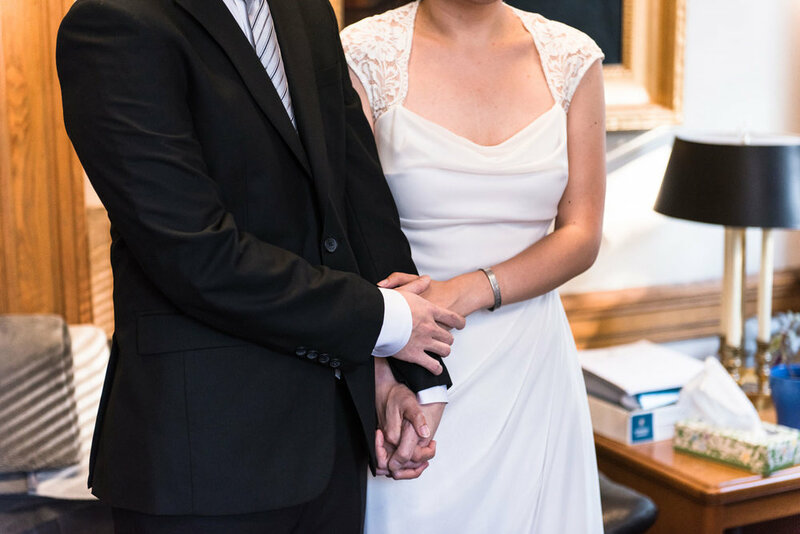 For more info about how to have your own Cambridge City Hall wedding, visit the City of Cambridge website! I don't think these two stopped holding hands the entire day...cue the heart eye emojis! 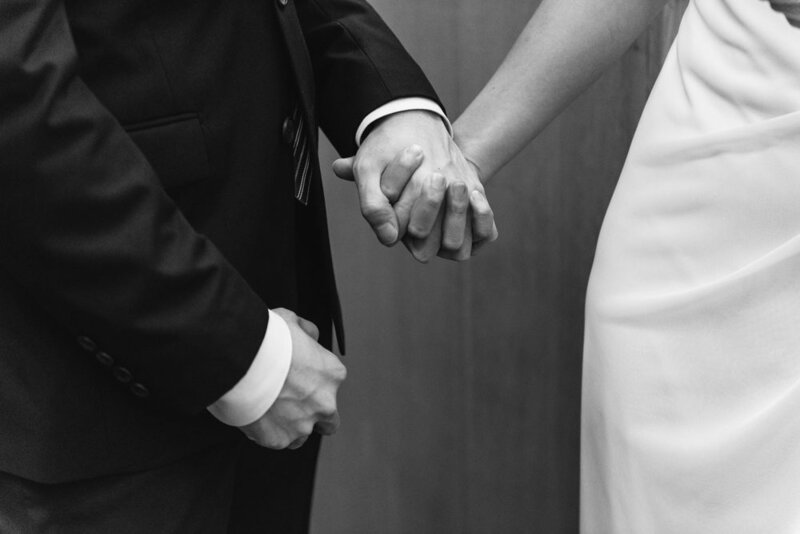 Weddings can be tearful no matter the size, location, or anything else really! Time for an impromptu first dance! Fun fact: Won actually did Yunsoo's hair, which I was super impressed by! 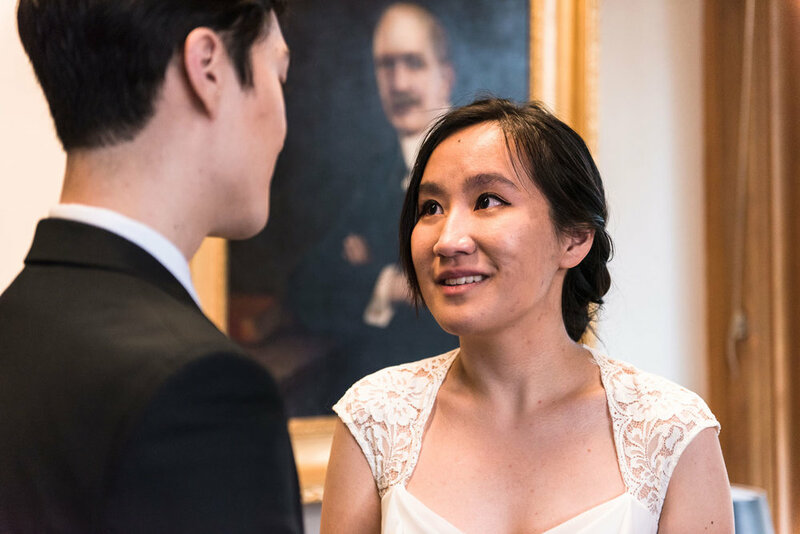 First of all, how special is it to be able to look back at your wedding photos and see your spouse's handiwork, and second of all, I can barely do my own hair much less someone else's! Even more proof that these two are perfect for each other! 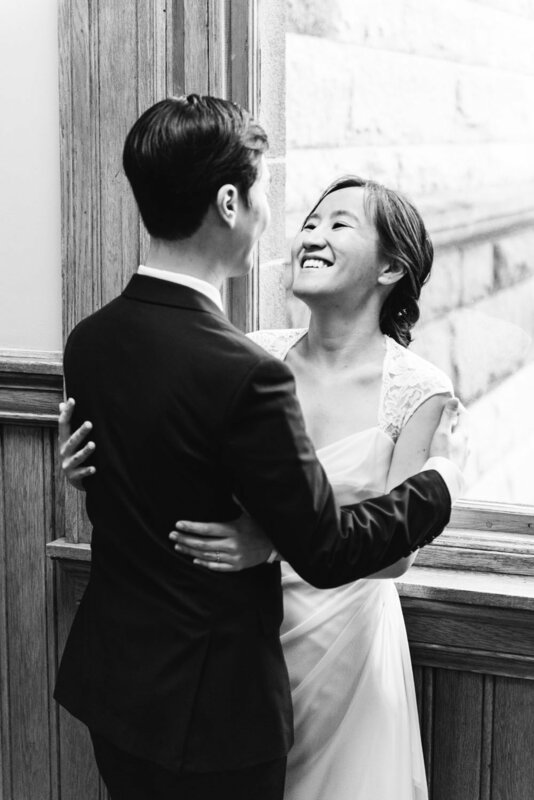 Yunsoo and Won, you two brought more smiles to my face than I can count! I hope you continue to do the same for each other for many many years. Cheers and happy anniversary! !